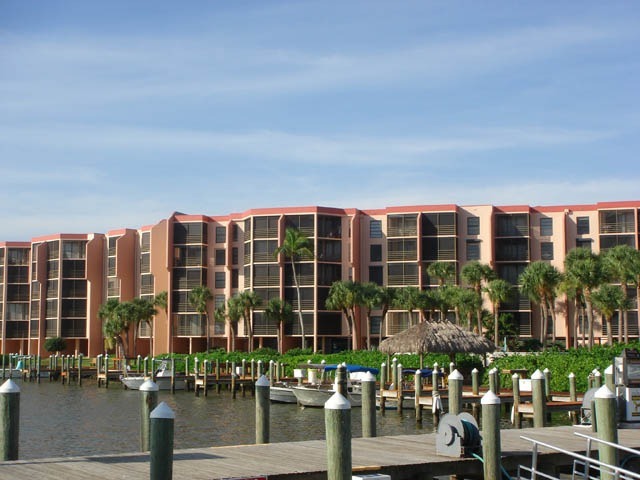 Riverside Club is a mid rise condominium provides direct waterfront access on the Marco River. Built in 1980 and 1981 with 275 units in the complex, Riverside Club offers one to two bedrooms with living area ranging from 800 to 1,000 square feet. Gated complex with boat docks, 2 Olympic swimming pools, 2 spas and tennis courts, fishing dock, gas grills and more.